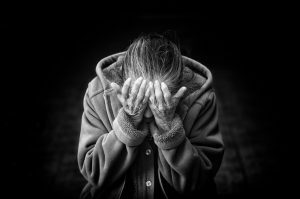 Older adults are often easy targets for financial abuse due to medical issues, mental impairments, or loneliness. Physical and mental conditions can make it difficult for the elderly to keep track of their bank accounts, investments, real estate titles, personal items, and other valuable assets. They may also feel isolated, without consistent contact with friends and family, which makes them vulnerable to personable but ill-intentioned individuals. These scams are often conducted by strangers. However, older people are also targeted by friends, family, and caretakers. These individuals use deceit, threats, and physical or emotional abuse to obtain power over the elderly person’s money and assets. If you see signs that your elderly loved one is being stolen from or has become the victim of a scam, contact an attorney from Brod Law Firm right away. Financial abuse from individuals close to your loved one often goes hand-in-hand with physical and emotional abuse. By working with a lawyer, you have additional resources to get your friend or family member to safety and begin repairing his or her financial situation. In addition to criminal charges, your loved one may be able to bring a civil action against the perpetrator of the abuse to be reimbursed.